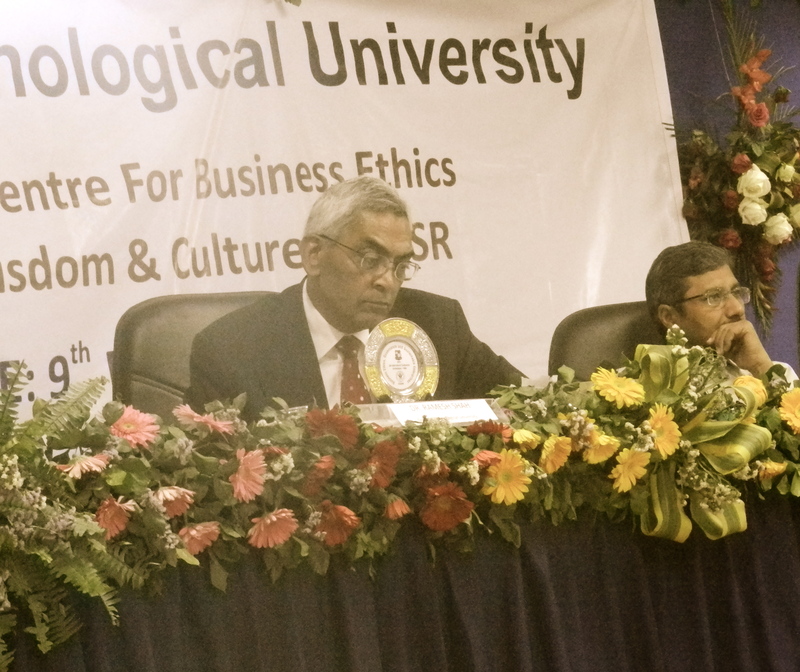 Gujarat Technological University(GTU)’s new swanky campus on the border of Ahmedabad and Gandhinagar became venue for 3rd International Conference on “Business Ethics, Governance and Sustainable Enterprises” on 8th and 9th February 2013. This annual conference organized by The Post Graduate Research Centre for Business Ethics and CSR of GTU has over the years become one of the most sought-after gathering of sustainability and ethics professionals from across the country. After stringent review, organizing committee selected 30 papers for presentation during two day conference in four different tracks of Business Ethics, Governance, CSR and Sustainable Enterprises. 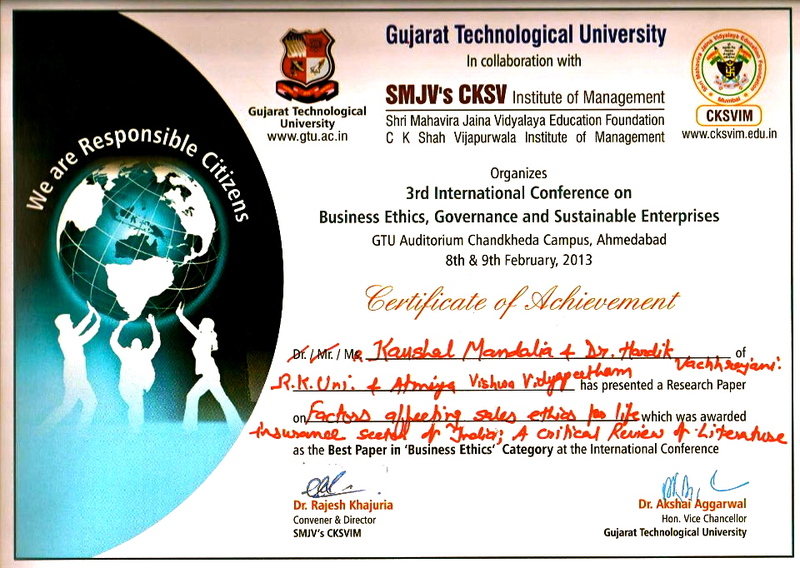 One of the selected paper for presentation under ‘Business Ethics’ track was paper authored by Kaushal Mandalia and co-authored by Hardik Vachhrajani. 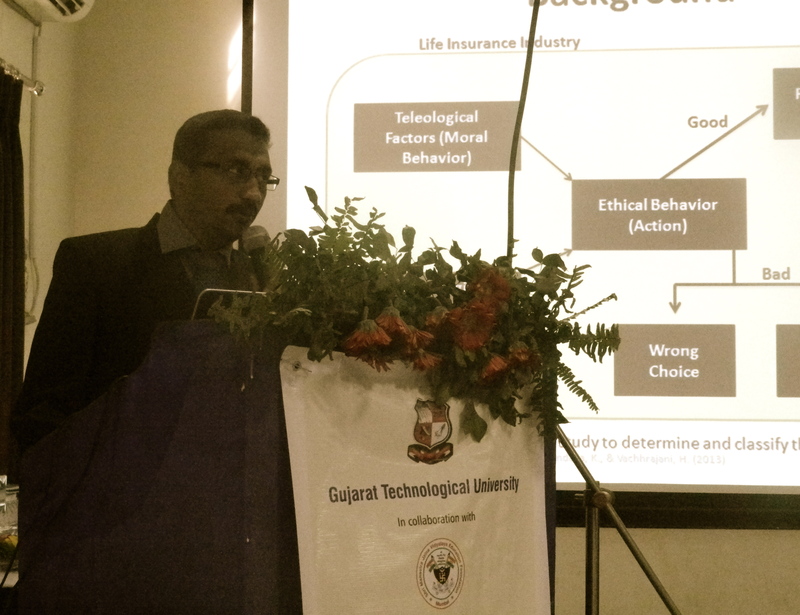 The paper critically reviewed the literature on factors affecting sales ethics for life insurance sector of India. 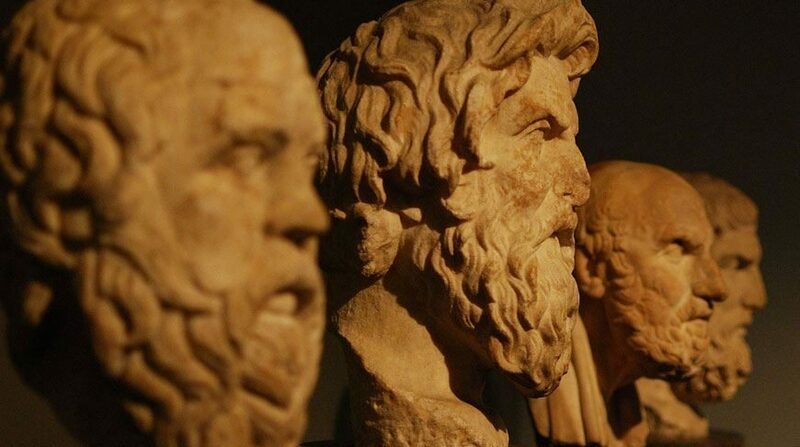 The paper comprehensively presented literature available in the domain and also highlighted the existing gap in literature from the perspective of practice and research. The paper presentation was followed by interactive question answer session. The paper won ‘The Best Paper Award’ under ‘Business Ethics’ category. 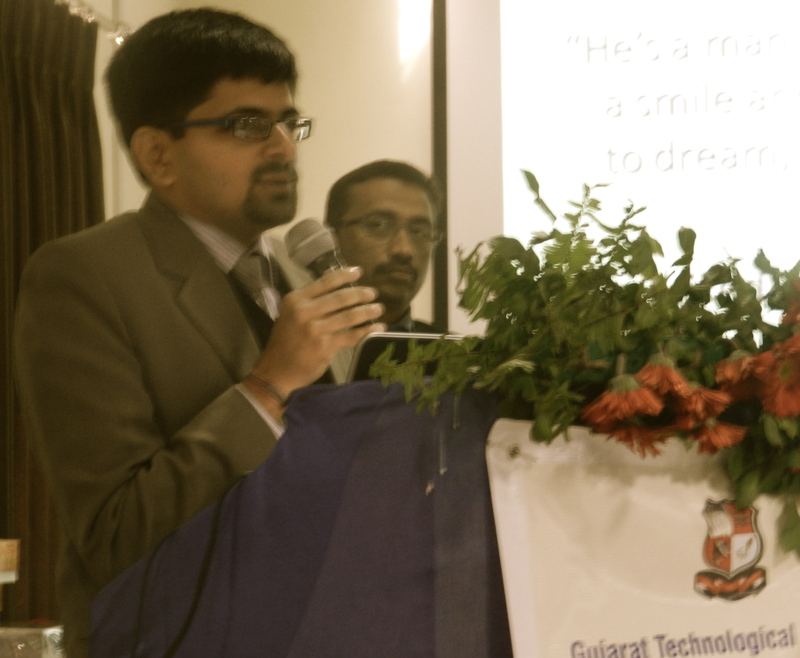 Judging panel included Dr. Ramesh Shah from Germany and Dr. S. O. Junare from India. Authors received certificate of accomplishment and GTU trophies. The paper is also published in conference special issue of ‘Sankalpa : Journal of Management and Research’ having ISSN No. 2231-1904.